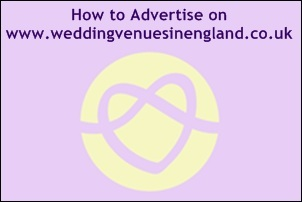 View Wedding Venues in England near your location. View offers, reviews, video and over 3,000 photos and much more. Wordsworth Weekday Package is available Monday to Thursday. 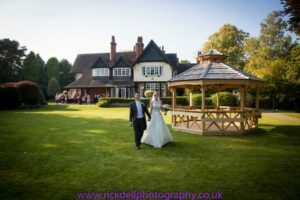 Planning for your Wedding Day - Helpful ideas, inspiration, guidance, tips and advice when choosing your wedding location. We have designed the website to either search by location, or there are others filters to use that are more specific and you may find helpful. They are located via the search facility at the top left of the tool bar and filling in the extended search box then on the right hand column. The search options include late dates, venues with wedding offers, video, or exclusive use. You can also select filters for types of venues like historic venues and romantic castles. 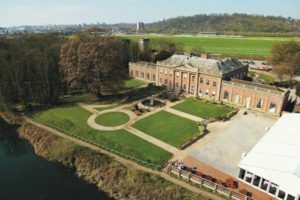 These searches will aid you in creating a shortlist of suitable venues that match your needs and desires. These can also be found at the bottom left of the home page. If you are not sure what sort of venue you want but know some locations you would like please use our handy venuefinder service located at the top left on the tool bar or in our brochure request box on the right hand side of the page. 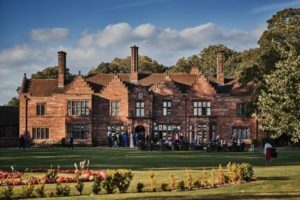 This enables us to get venues in your chosen locations to email you their information and offers which will save you lots of time and can be emailed to you easily. Our useful planning tools are designed to help you and you can use them for free throughout the various stages of your wedding planning. They are located at the top right of the home page and also links in the bottom footer. They include a great budget that adds up your items for you and compares and contrasts against different options so you can balance your budget in key areas. We also have a timeline planner and great seater planning for when you are further along in the process. 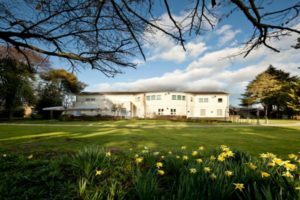 When you fill in a brochure request form for a specific venue you will see there is an option for you to tick if you want a venue show round which you can opt in for and even which time of day you prefer so the venue can call you and book in a time for your viewing at your convenience. Have a list of questions that you can ask them. For example what is included with your package, and make sure they follow this up for you in writing. 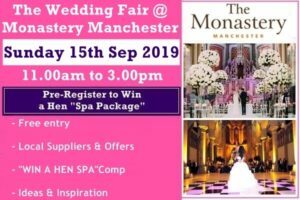 They may offer things like free, cake stand, a wedding DJ, a Master of Ceremonies to host your day, a free honeymoon suite. Make sure you know which areas are yours to use including outdoor rooms and terraces, gardens and marquees etc. You don’t want to arrive on your wedding day and find out there is another function using key spaces that you thought were included in your wedding package. You also need to know the time your guests are expected to leave and what time the music finishes and bar shuts as this varies at each venue. If you have guests that require special food or rooms or disabled access make sure the venue is aware of this at the initial planning stages. Also you may need to know the maximum capacity for sit down wedding breakfasts if you are considering larger weddings. Once you have a shortlist of venues visit them again with your partner and make your final decision together. 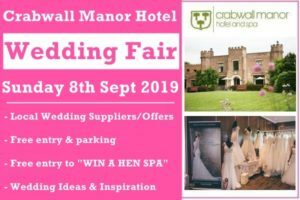 Perhaps when they having a wedding fayre on so you can see the function rooms dressed for a wedding and imagine yourselves there on your special day. Good luck and take time to enjoy the most important day of your lives. 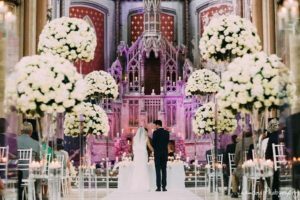 There as so many different types of venue offers these days, and if you can't find the offer you want at your preferred wedding venue, then ask them if the can put a similar type of wedding offer together. 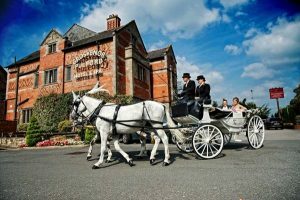 Some of the most popular wedding venue offers are: Inclusive Set Price Offers, Evening Wedding Offers, Sunday Wedding Offers, Midweek Wedding Offers, Late Availability Wedding Offers and Winter Wedding Offers; there really is a wide selection of types of wedding offers to suit every budget and preference. 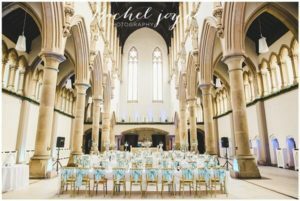 Visiting a wedding venue when they host a wedding fairs or open day is a really great way to view the venue within an informal manner without any committment. 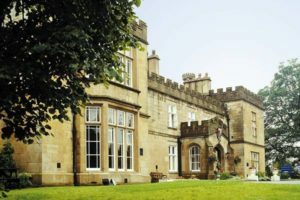 Most wedding venues will host several wedding fayres and open days throughout the year. 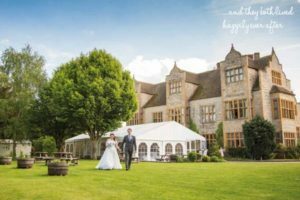 You not only will have the opportunity to meet the staff, discuss wedding offers, any specific requirements you may have for your wedding day, but also meet some wedding suppliers that have worked at the venue for previous weddings. This will allow you to interact with weddding professionals in a very leisurely environment, ask questions, and view the venue dressed for a wedding ceremony and receptions. Sometimes venues have special evenings where you can be invited to do a food tasting evening or wine tasting to help you decide what you would like off their wedding breakfast menus. This is a great way to taste dishes that you may not have considered previously. Also ask for the vegetarian options available to taste so that all of your guests have a tasty meal that is enjoyable. 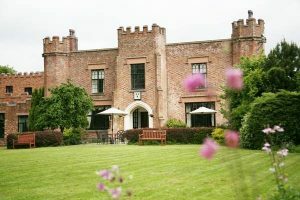 A good selection of venues also offer evenings where external specialists come in to offer you advice and choice for your big day. For example wedding dress shops may bring dresses to try and talk about what style suits you. Hair and Makeup and Beauty specialists offer demonstrations and trials for you to try out new ideas to make you look and feel your very best. Seeing your shortlist of properties a few times really helps you when making your final choice. 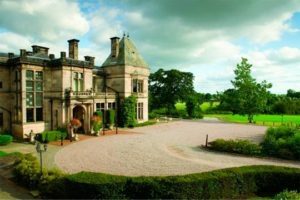 Firstly make sure you see all the function rooms and each room that has a civil ceremony licence in place. This will open up lots of different options to you that you may not have considered in terms of size, atmosphere and style. Also view the bar and communal areas as there vary considerably from venue to venue. After the communal areas check out the different types off bedroom accommodation including family rooms, rooms for disabled guests as well as the honeymoon suites. 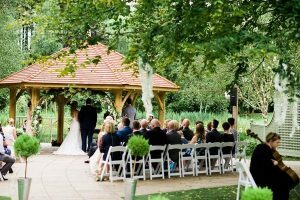 It is also advisable to look at all the outdoor locations you may with to use for your wedding for the ceremony, social entertainment, and for those special photo opportunities. Out door shots can often make a spectacular backdrop for your photographs and video helping you create those cherished memories. All of these can be viewed whilst at the wedding Fayre. You can then later arrange a private venue viewing with the staff with a list of all your questions already prepared. Mostly importantly enjoy the wedding Fayres and viewings and take friends and family with you to get their points of view as well. 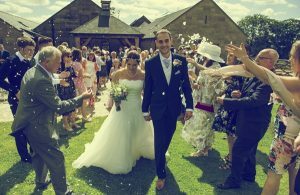 Wedding Venues in England have created an interactive Microsoft Excel Wedding Budget Planner for you to download and use whilst researching services for your special day. One of the unique features this budget planner has to offer is that you will be able to insert prices for different options, therefore giving you a comparable side-by-side view for each service that you will need for your special day. There is also an option to list the names of your favourite wedding service companies. Knowing where to start when you have just got engaged can be overwhelming. 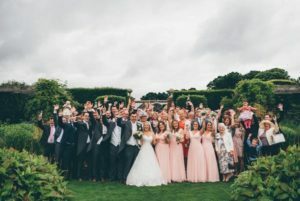 That's why Wedding Venues in England have a free Wedding Timeline Planner that enables you to look at the types of wedding services you may require, and where each of them fit within the timeline leading up to your wedding day. This by far one of the most challenging things to do when it comes to finalising your special day. 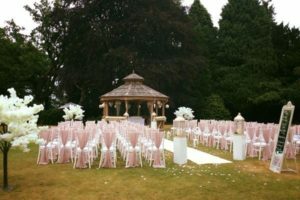 Therefore take advantage of the Wedding Venues in England free Wedding Guest Seating Planner, which is an interactive excel spreadsheet that can be downloaded and edited as much as wish, but moving guests from table to table and seat to seat at the click of a button. 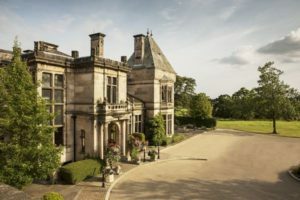 Most brides and grooms "Tie the Knot" 18-24 months in advance, that's why we have created a Wedding Venue Date Calendar which shows you easily at the click of a button which dates are for the weekend, or your preferred day of the week in years to come. 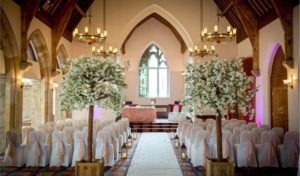 Once you have chosen your perfect wedding venue, the next step is to start looking at the different types of wedding suppliers you will need for your special day. This includes everything from Bridalwear and photographers to wedding shoes and venuedressing. Finding good quality wedding suppliers nearby and that have worked at your chosen wedding venue previously is a must, as you want somebody that you can contact easily, and also knows all the ways to get the most out of your wedding venue for your wedding day.